a few spoons of apple cinnamon oatmeal, just enough to jump start the metabolism. Thin is in!!!!! It was far from filling, and even less taste full. Since there are no healthy snacks in the kitchen I will cope with the hunger until lunch time. I think I'm going out for pho. All in all a small price to pay for abs like these. While at her website I noticed I have a few selected tracks from her album "Kittenz and Thee Glitz" so I'll have to pick up the whole thing at some point. I've also been listening to Hotel Costes 8 (Lo-Fi/Down Tempo)http://www.cvibes.com/images/hotelcostes8.jpg kind of an odd Monday morning mix but I'm in one of those moods I guess. 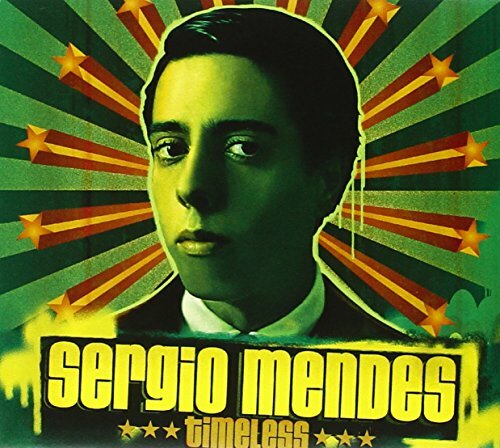 Also a little more off beat, on my list to pick up is the new Sergio Mendez album http://ec1.images-amazon.com/images/P/B000AA4ML8.0... I had a listen at the record store over the weekend and I dig it. This is my first Blog EVER!!! I don't know what to think about it, but I'm hesitant about clicking the Post Journal button. In fact, this whole paragraph is a procrastination attempt to prolong the inevitable. I'm not sure whether or not I will let anyone know that I created it, or link friends and associates to it once it's done. If, and once I do I'm not sure what the general contents will be but seeing as how this is Rave.CA I suspect a strong music focus. i wish that i could be walking down the street one day and just happen to find this zipper thats just floating in mid air, oppen it, hop in and find this whole new world. It would be so cool.Everything brand new. Maybe this one actualy would work well, free of corruption. the sky would be purple and all the vegatation would be twited and swiveld. the water would be a jellowy type substance thats green and sparkly. Each land (which are all walking distnace of eachother) has its own music and feel to it, one can either chose to live in one land or take my prefered method of living freely withini them all. the weather is always nice and everyone sleeps out doars. but there is snow and rain but its a pleaently tickling feeling rather than wet or cold. there would be absolutly no paved roads. everything would be equlay shared among the people. there are no cars. M’accepter est une affirmation paradoxale dans la mesure où je souhaite changer pour m’améliorer, pour évoluer. Or, la base du changement est l’acceptation de ce que nous sommes. Essayons d’expliquer ce paradoxe. Pendant que je cours après ce que je voudrais être, je ne peux pas être ce que je suis, c’est donc une fuite permanente en avant, idéaliste et non réaliste. Alors qu’en reconnaissant ce que je suis, je peux travailler avec ce que je suis. Si je suis impulsif, il faudra travailler avec cette impulsivité et en travaillant avec elle le changement vient de lui-même dans la dynamique de la relation. Donc, loin de repousser mes contraintes, je les utilise, je travaille avec elles, c’est ce qui me transforme. Cette acquisition de moi-même me montre le chemin pour accepter l’autre tel qu’il est puisque c’est la seule façon qu’un jour il puisse se permettre de changer lui-même. Si j’ai des projets à son égard, je déclenche des mécanismes de défense. Si je l’accepte tel qu’il est, il devient libre de pouvoir changer s’il le désire. Tiré de : Maccio, C. (1988), animation de groupes, ed. Chronique sociale, Lyon, 8e éd., pp. 102-103.
j'ai perdu mon appétit pi ça fait juste bizarre. J'ai juste pu manger une moitié de portion de poutine pour me donner de l'énergie pi le prof en philo du droit m'a fait chier avec sa politique de "donneur de pauses très cheap". Ah pi j'ai comme 6 arrêts de la Cour Suprême à lire pour la classe de droit constitutionnel demain! Une chance ke j'aime le cours (Bernatchez yé drôle)!